The Mass Effect series has always been better for the odd questionnaire. BioWare used console achievements data to work out what players spent their time doing in the original game, and set about its sequel with knives until there was nothing but good. The new game looks to be getting a similar treatment. A year and half after longtime series custodian Casey Hudson asked Mass Effect 4 players whether they wanted prequel or sequel, his studio have published a survey. 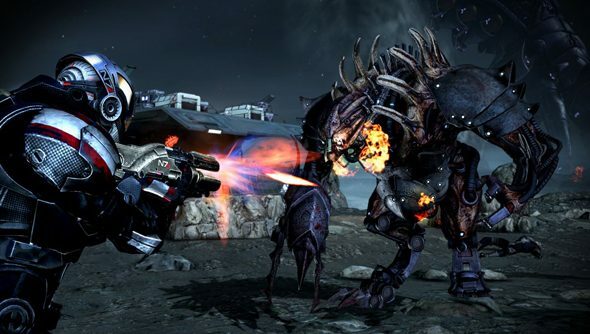 BioWare Montreal want to know what would-be Mass Effect 4 players have been playing lately, and it’s interesting to see which games are on their mind. Mass Effect and its closest BioWare relation, The Old Republic, are on the list – as are The Witcher, Fable, and The Elder Scrolls. Those games all have clear mechanical ties – but plenty of others in the survey don’t. What might BioWare do should a large part of their playerbase prove to be playing Dark Souls, Diablo or Watch Dogs? How might Dota 2 and League of Legends, spotted elsewhere on the list, influence development? Other questions suggest a matter of resource allocation: Hudson and friends want to know whether Mass Effect players are most into story, exploration, combat or customisation. And in a follow-up question, BioWare ask whether or not ‘optimising kit and skills’, ‘alternative story outcomes’ or even levelling up are important to players. It seems every component of the genre is being subjected to rigorous assessment – but given that Mass Effect 4 is in playable stateand”somewhere in the middle” of development, it’s possible these answers will come too late for dramatic design decisions. Elsewhere, BioWare want to know if they show up in force at San Diego Comic Con, Gamescom and PAX Prime, and if you’re into cosplay at all. Then, just as it’s all getting a bit personal, question time’s over. It seems to me that Mass Effect is BioWare’s space to experiment with mechanics, and Dragon Age is the more traditionalist continuation of its Baldur’s Gate legacy. But perhaps you lot don’t see it that way?